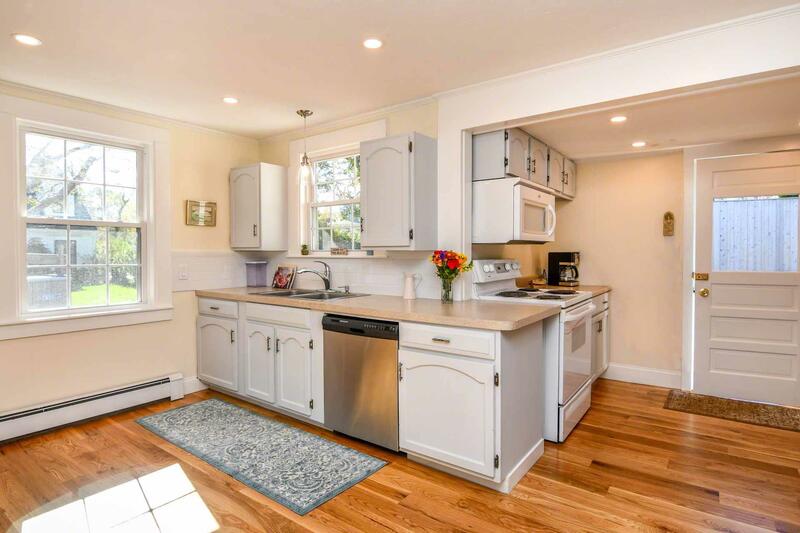 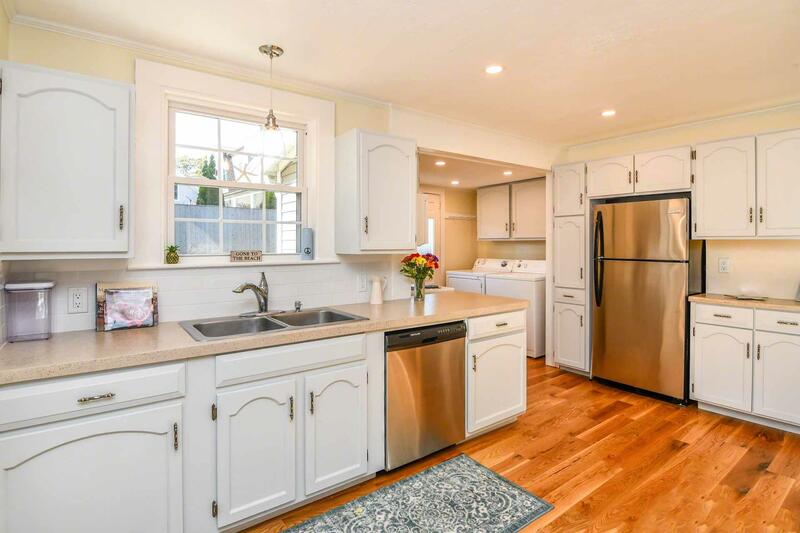 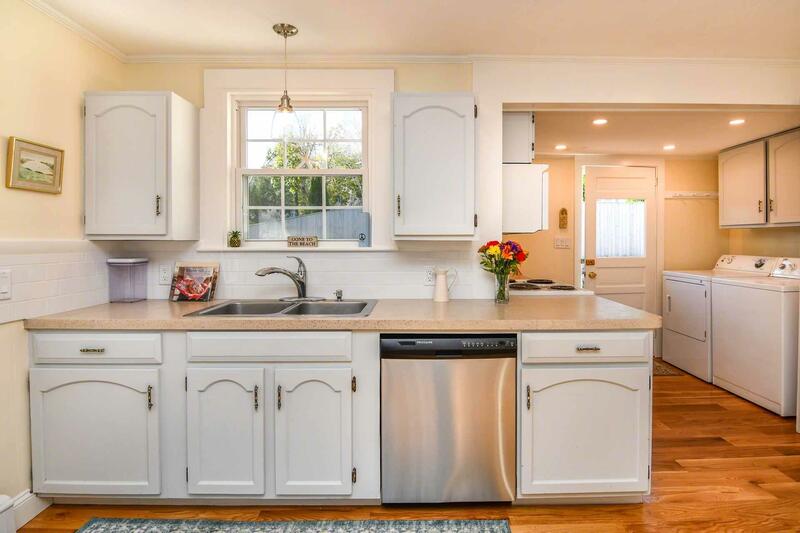 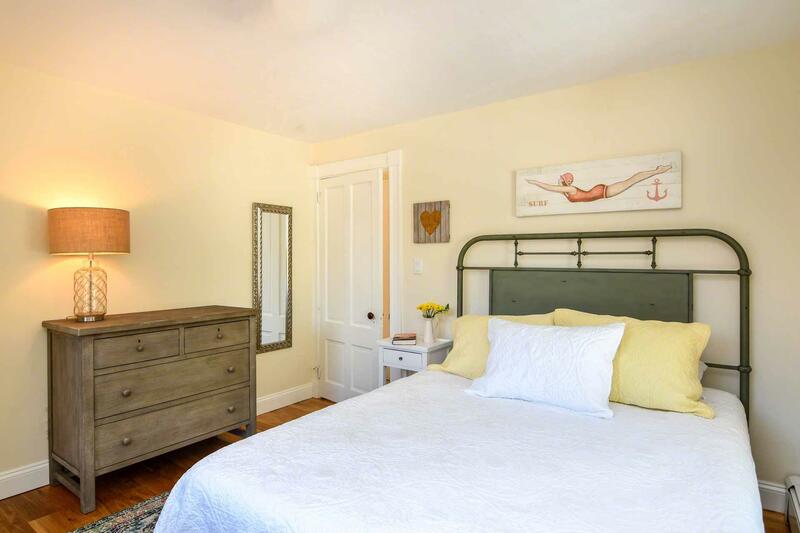 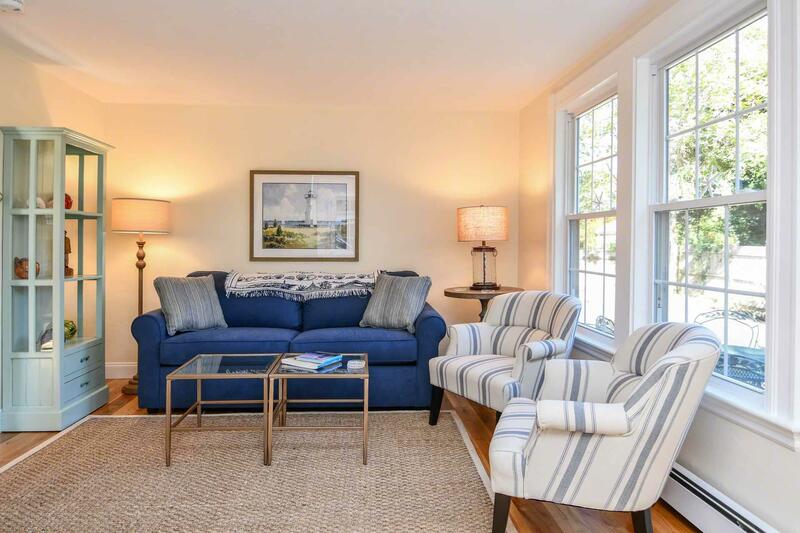 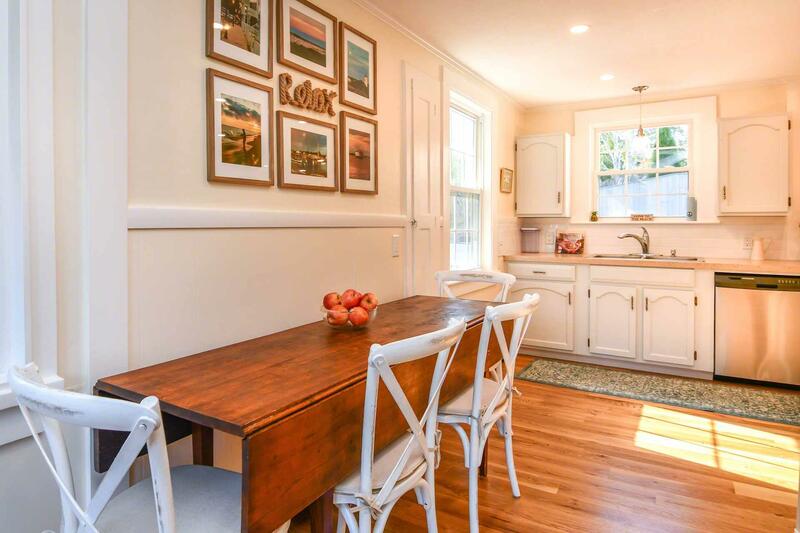 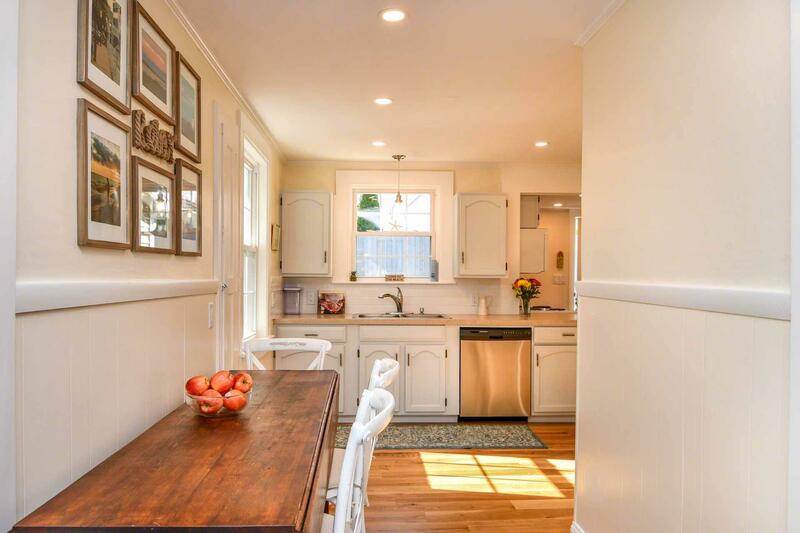 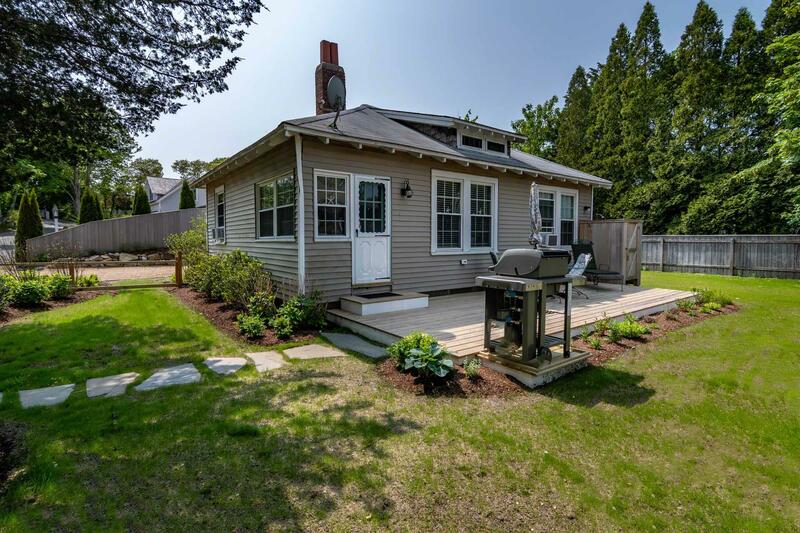 Point B Exclusive - This Classic Edgartown Village Cottage has just gotten a complete update. 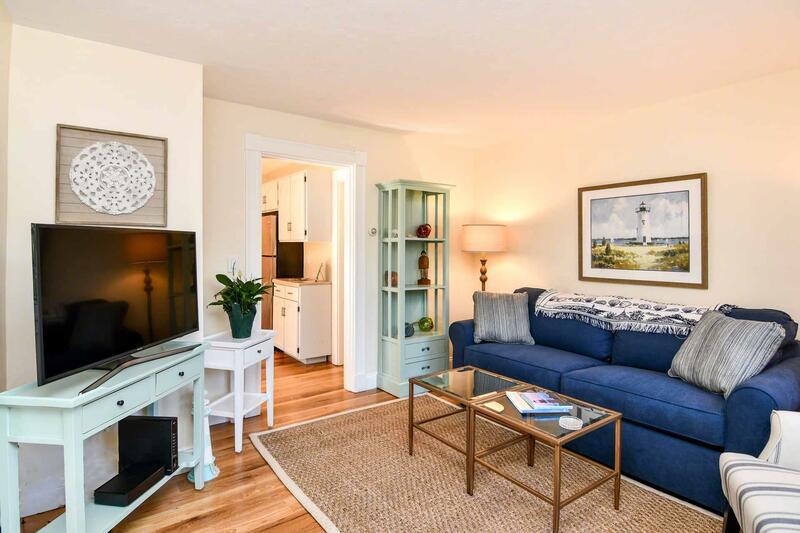 Located on a lightly traveled in-town lane, this two bedroom Bungalow-style cottage features one level living. 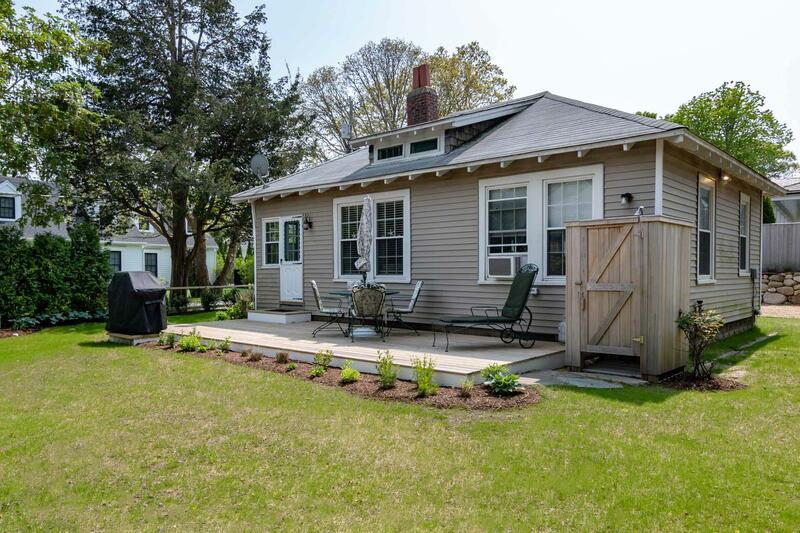 There is new furniture and paint throughout, as well as a new deck, outdoor shower, and landscaping. 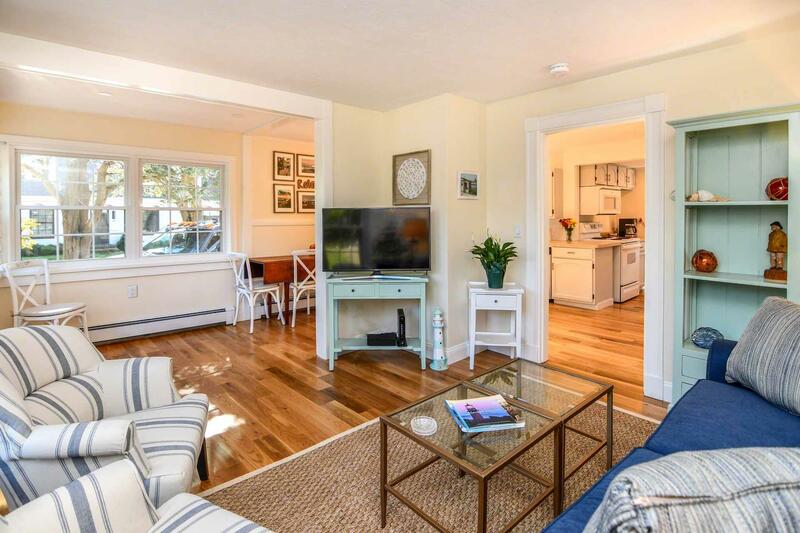 The Living Room has seating with a media center. 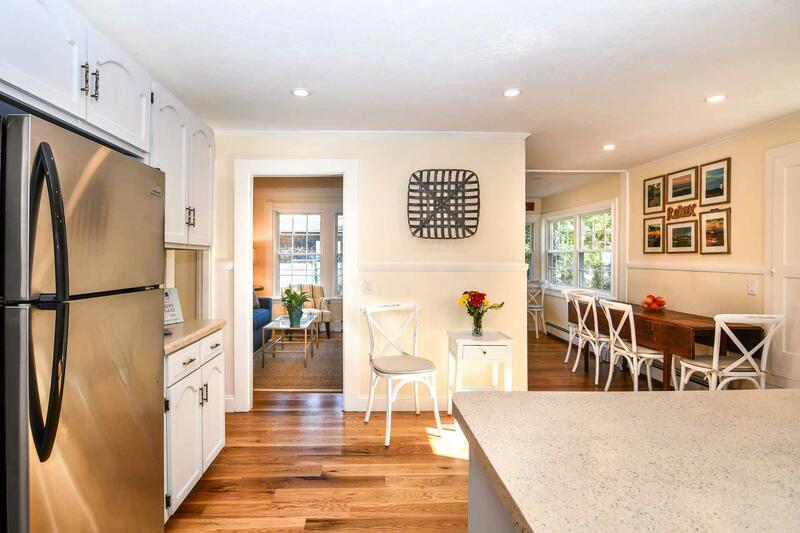 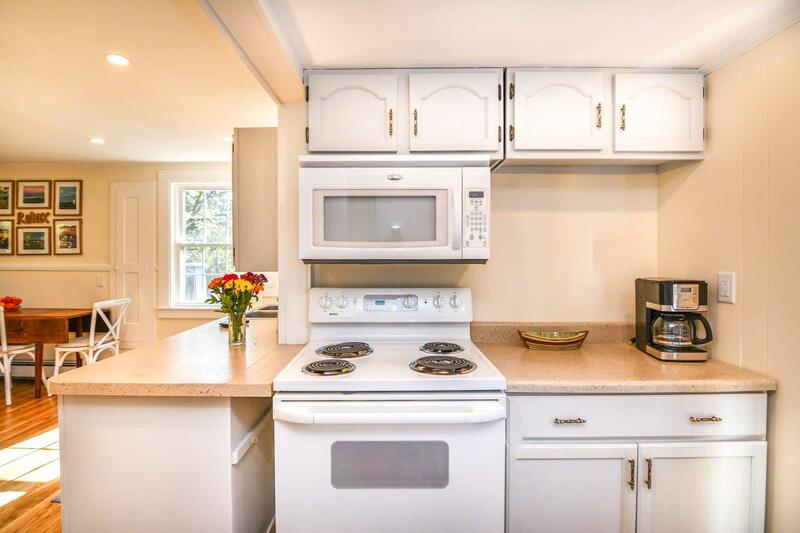 The open Kitchen/Dining Area is nicely equipped for vacation entertaining. 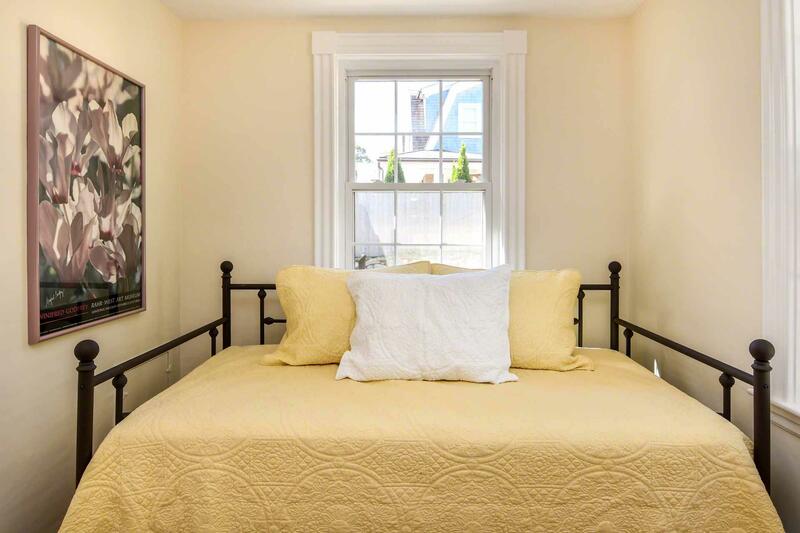 The two Bedrooms share a full bath. 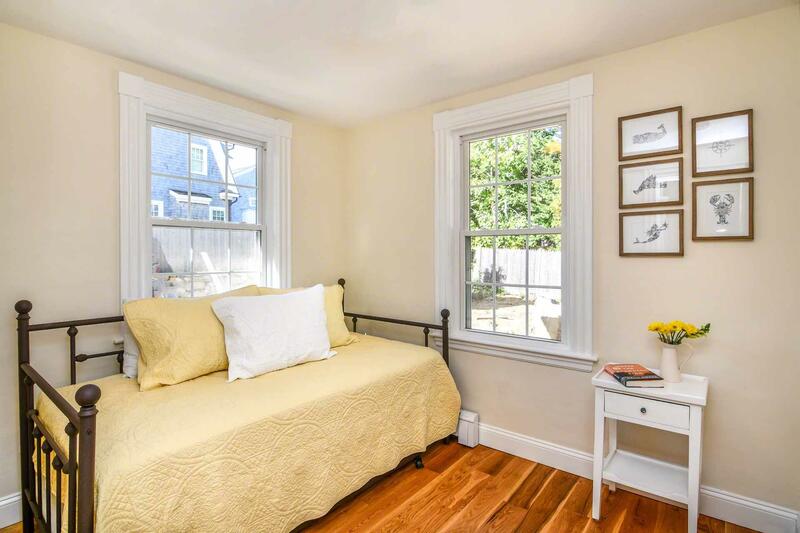 There are window A/C units in the Living Room and Master Bedroom. 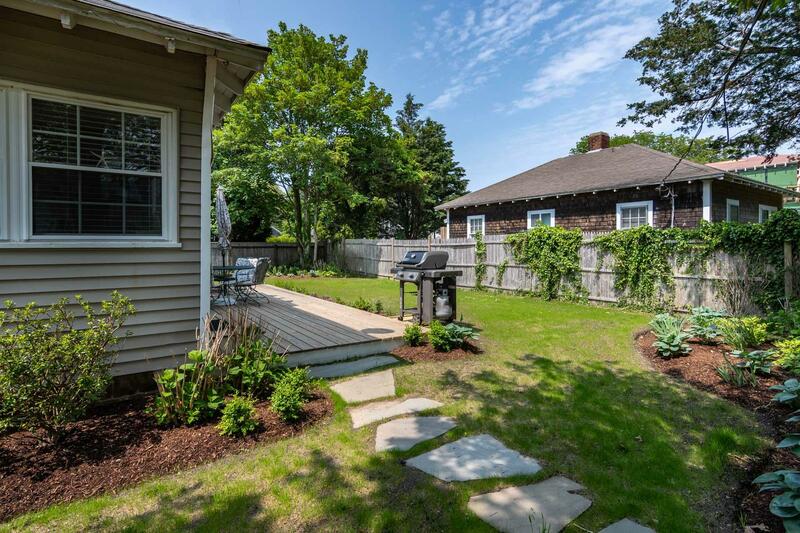 The new outdoor space includes a large mahogany deck with outdoor seating, and a new enclosed outdoor shower. 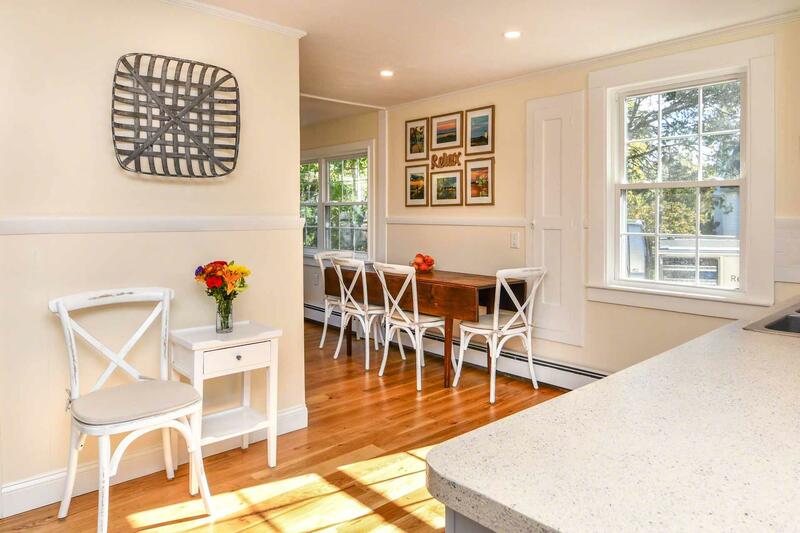 The bike path is nearby, and downtown Edgartown Village, with its restaurants, shops, and harbor, is only a few blocks away.